Almost an entire year of hard work and stress, but also joy, culminates in this day. Today is the launch of our Vanguard experiment on the stratosphere balloon BEXUS 22. Together with our colleagues from E18 (physics department of TUM), we started the development of a BEXUS experiment in late 2015. The goal of the experiment is to test the COM and CDH hard- and software in an environment as similar to space as possible. The BEXUS balloon gives us a unique opportunity, since with its 30km of floating altitude and up to 300km downrange distance, we can create a situation very similar to CubeSat operations. 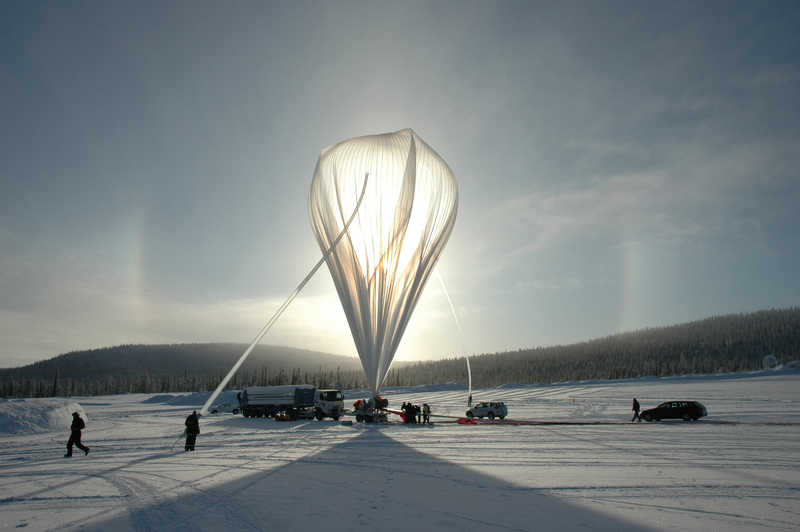 The balloon is started from Esrange, a rocket range close to Kiruna in northern Sweden. Our part of the experiment consists of the S-Band board (Tx only), the UKW board (Tx/Rx) and the CDH board. The project is managed by E18, who also provide auxiliary devices such as the Power Supply Module (PSM) and E-Link&Storage Module (ESM). Additional support comes from DLR MORABA, who provide the telemetry station for receiving the S-Band signals. If you are an amateur radio operator in Lappland or northern Sweden, you can receive the telemetry of our VHF transmitter and, if you have a really nice antenna, S-Band transmitter. Our downlink frequencies are 144.5 MHz (12K5G1DXN) and 2323 MHz (2M00G1DXN). We use BPSK and QPSK respectively. Both use the call sign SG2BEX (Thanks go to Eric from SSA for the utter lack of bureaucracy in this matter). Furthermore, every downlink signal has another CW beacon on the LSB side, so those without digital receivers can still get our telemetry. If you do manage to receive our signal, provide us with information about your QSO either directly to us or the regular way via DM7RDK. Finally, you can watch the launch preparations on a live stream at http://esrange.insupport.se !